Why the 2.1% increase in Bo’ness property prices despite BREXIT? Bo’ness’s continuing housing shortage is putting the town’s (and Scotland’s) repute as a nation of homeowners ‘under threat’, as the number of houses being built continues to be woefully inadequate in meeting the ever demanding needs of the growing population in the town. In fact, I was talking to some friends the other day at a get together and the subject of the Bo’ness property market came up in the conversation after the weather and politics. It was said that it used to be that if you went out to work and did the right thing, you would expect that relatively quickly you would be buying a house, you would go on holiday every year and you would save for a pension. But now things seem to have changed. The picture in Bo’ness is similar to the Scottish wide trend. There are simply not enough houses in Bo’ness and the shortage of supply has meant Bo’ness property values have continued to rise, meaning they are 2.1% higher than 12 months ago despite the BREXIT impact on the housing market. I was taught at school that it is all about supply and demand, this economics game. The demand for Bo’ness property has been particular strong for properties in the good areas of the town and it is my considered opinion that it is likely to continue this year, driven by growing demand among buyers (both Bo’ness home buyers and Bo’ness landlords alike). You see, Bo’ness’s economy is quite varied which will help it weather the current economic uncertainties that we are going through. …and of supply, well we have spoken about the lack of new building in the town holding things back, but there is another issue relating to supply. Of the existing properties already built, the concern is the number of properties on the market and for sale. The number of properties currently for sale in Bo’ness has reduced over time! With demand for Bo’ness property rising, minimal new homes being built and less properties coming onto the market, that can only mean one thing, now is a good time to be a homeowner or landlord in Bo’ness. If you would like a chat to find out more about investment property and property management in Bo’ness please pick up the phone (01506 828096), pop in (6 Vicar Street, Falkirk) or email (robert@thekeyplace.co.uk). 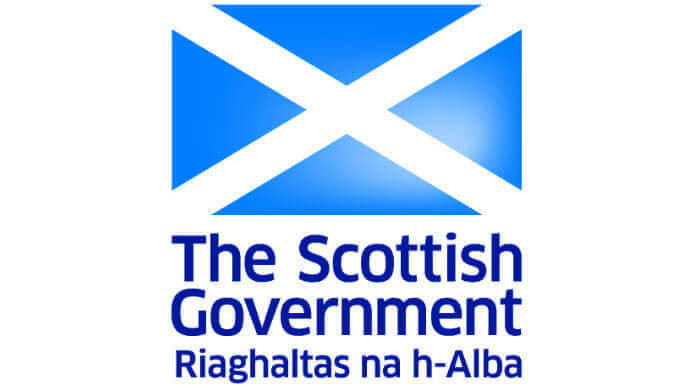 All letting agents are required to be registered with, and regulated by, the Scottish Government. 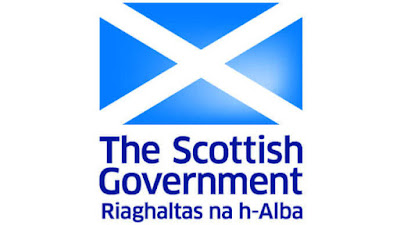 It has been a criminal (not civil) offence to trade as a letting agent after 1 October 2018 if you are not registered with, and regulated by, the Scottish Government. Registered letting agents require to adhere to the Scottish Government Letting Agent Code of Practice which means that, amongst other things, they have to have suitable policies and procedures in place, there staff need to be appropriately qualified, and they have to control their clients’ money sensibly and they have to have professional indemnity and client money insurances in place. If they use a letting agent, landlords now have a duty to only use a registered one to ensure that they are legally compliant. I keep hearing more and more practical reasons why this is the case, for example, did you know that you will be refused a mortgage on a buy-to-let property if you use an agent who is not registered? Landlords please use a registered letting agent. There is significant work in getting a letting agent into a good enough shape to be able to be come regulated. If letting agents who have not registered are looking to sell their business given the hassle involved, get in touch as I know people who are looking to buy such letting agents – they have the resource (both £££ and people) to complete a quick deal. The buy to let opportunity from The Bo’ness Property Blog today is is on at a ‘fixed price’ so it offers purchase price certainty ….. not something you see that often in the current Bo’ness Property market. In addition, it is an example of a good buy to let property a landlord who is looking for an ‘easier life’. The property is a modern 2-bed first-floor flat in Hillside Grove in The Drum development in Bo’ness. The flat, which is in good decorative condition, has a large open plan lounge/dining room, a separate modern fitted kitchen, two double bedrooms (one with built-in wardrobes) and a modern bathroom with a shower over the bath. Running the numbers on this one. 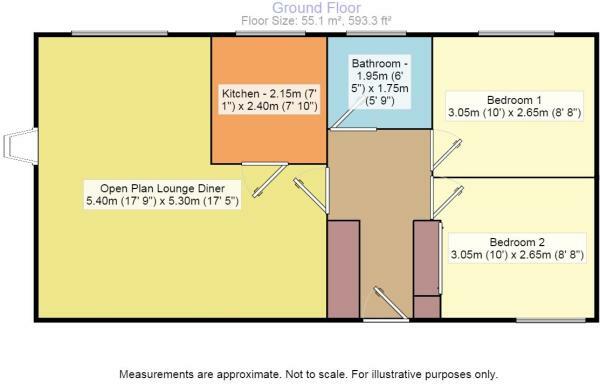 The flat, which has been on the market since June (I suspect that this is the reason for it being on at a fixed price), is being sold by Your Move Linlithgow for a fixed price of £95,000. I would expect that you could get a rent level of £550/month which would give you a yield of 6.9%. We hope you find our posts useful. If you would like some advice with your potential investment, please call me on 01506 828096, pop into the office at 6 Vicar Street Falkirk to see me or email me on robert@thekeyplace.co.uk. Welcome to the latest instalment of our regular blog - Confessions of a Bo'ness Letting Agent. If I had a penny for the number of times that I had rolled my eyes in despair at something a contractor had done, then I’d be a rich man by now (of course that is with the exception of our regular fantastic trades guys and you know who you are!). 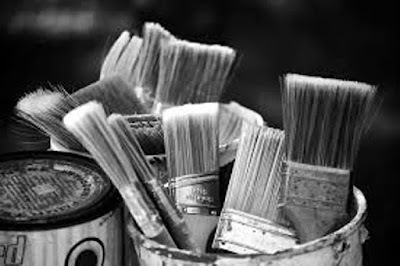 We sent Ron the painter to do some work in a property we manage in the borders. The tenant was able to go and stay with friends for the weekend and so it suited her to have the work done then. Ron was happy to oblige, even although it was a weekend, and we explicitly explained that he would need to travel each day to the property or find accommodation as he wouldn’t be able to stay in the property. On Monday morning there was a phone call from the irate tenant, who said that Ron had spent the weekend in her home, and she felt that her personal space had been violated. On further questioning, we established that a friend of hers had walked past the property over the weekend and had looked in the window. She quite clearly saw 2 deckchairs, a table and some bedding. The tenant also claimed that dishes had been used and washed up but not put away. Well we spoke to Ron who said that he had taken his wife away for the weekend and that they had both slept in his van. Now if you could see Ron’s van, you would know that is not possible as it is chocka full of painting stuff. No self-respecting partner would agree to sleep in there! Unfortunately the job was not finished and the tenant refused to have Ron back in her home, and so we had to find a different painter to complete the job .... and we never used Ron again! Over many years of property letting, we have built up a list of reliable, quality contractors but getting to this point has been difficult and we have parted company with many trades’ guys along the way. There is also the issue of quality versus cost. 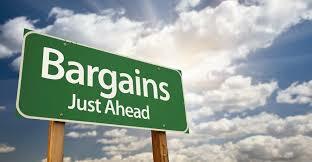 Landlords often want the cheapest job possible rather than paying a wee bit more for quality. Maybe if Ron had quoted higher, then he could have treated his partner to a nice B&B! For information on all of The Key Place services, please visit our website, www.thekeyplace.co.uk. 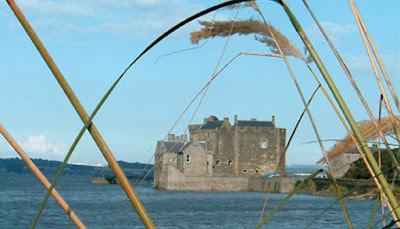 ‘A Scotsman’s Home is his Castle’ is (almost!) the phrase that was coined in Victorian times as the UK has a reputation for being a country of home owners ... but the truth could be further from the point, because in a league of the top 46 economic nations of the world, where owning your property is permissible, the UK is only ranked no.37. As I have mentioned, at the end of the First World War, 77% of people rented their home (the vast majority renting from a private landlord as Council Housing was still very much in its infancy). Homeownership rose very slowly in the 1920’s and started to grow as the economy grew after the Great Depression. However, after the Luftwaffe had flattened huge swathes of housing in the early 40’s, the priority was to get people into clean and decent accommodation ... so Local Authority’s (Councils) took up the baton and they built large council estates in the 1950’s and 1960’s. As the UK economy got back on its feet in the middle part of the 20th Century and wages rose, people decided they wanted to own their own home instead of renting. Throughout the post war decades, it became easier to secure a mortgage. Interestingly, by 1977, 61.6% of 30 to 34 year olds were owner occupiers with a mortgage compared to 8.7% of 30 to 34 year olds being in private rented accommodation (the remaining either being in council housing or living with friends or family). Ten years later, in 1987, we saw some significant growth in homeownership, as 68.2% of 30 to 34 year olds had a mortgage and only 4.6% of people privately rented. A decade later and there wasn’t much change in home ownership as, in 1997, the homeownership figure was 68.3% but private renting had jumped to 12.1% in the same 30 to 34 year old age group. Move on another ten years to the 2007 figures, and this showed a slight drop in homeownership to 65.8% but renting had continued to increase to 18.7% (in the 30 to 34 year old age group). The latest set of figures shows that only 47.2% of 30 to 34 year olds had a mortgage and an eye watering 33.4% of 30 to 34 year olds privately rent. When we look at the Bo’ness figures of homeownership, the latest census in 2011 showed home ownership in Bo’ness was 63.2% and private rented was 8.1%. Private renting will increase not because property has become more expensive but because 30 somethings haven’t got a council house to move into (because they were all sold off) – so they have to rent privately. The selling of council housing in the 1980’s (a subject I have talked about in a previous article in the Bo’ness Property Blog) artificially grew homeownership in the 1980’s, but as these people have got older, the younger generation didn’t have the same opportunity to buy their council house in the 1990’s, 2000’s or 2010’s. That is why, unless the council start building council houses by the acre, and hundreds of acres at that, private renting will continue to grow in Bo’ness. So if you want blame anyone ... blame the Grocer’s daughter from Grantham – Mrs T …. but before you do – do remember in the 1970s, the UK was called the "sick man of Europe" by critics of the UK government, because of industrial strife and poor economic performance compared to other European countries culminating with the Winter of Discontent of 1978/9 and if it hadn’t been for her we wouldn’t be where we are today. If you would like any advice on the Bo’ness property market, feel free to pop into our office at 6 Vicar Street, Falkirk for a chat, give us a call 01506 828096 or email me on robert@thekeyplace.co.uk. There have been a few properties ‘hanging around’ on the Bo’ness property market for some time now and the owners are beginning to reduce the prices as, obviously, they are keen to get them sold. I have mentioned a couple of these properties on The Bo’ness Property Blog before so I thought that I would remind you of them and there reduced prices. 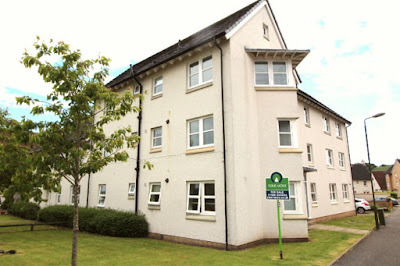 The first property is the 1-bed flat in South Philpingstone Lane in Bo’ness. The flat, which is in good decorative condition, has a lounge, a separate modern fitted kitchen, a double bedroom and a modern bathroom with a shower over the bath. 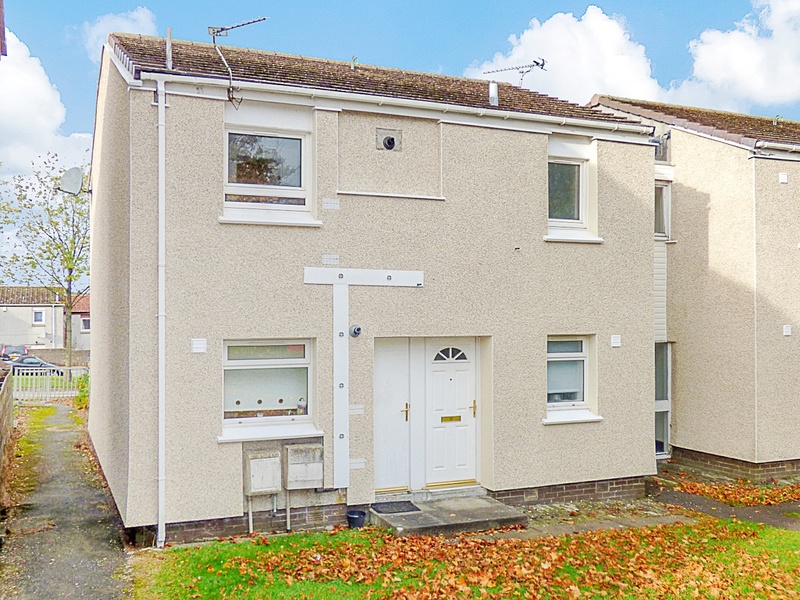 The second property is the 1-bed first floor flat in Liddle Drive in Bo’ness. 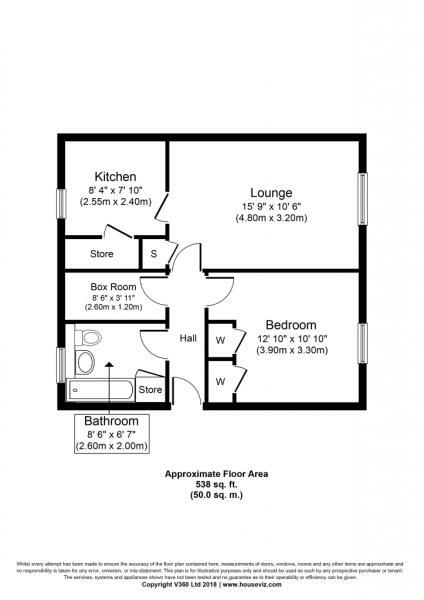 It has a lounge, a separate fitted kitchen, a double bedroom and a bathroom with a shower over the bath. There is a shared ‘garden’ area at the rear and on street parking. 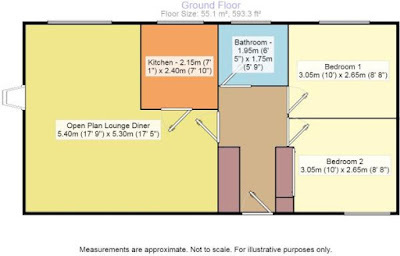 The flat needs a bit of refurbishment – for example, the kitchen and bathroom are a bit ‘tired’. The South Philpingstone Lane flat’s price has recently been reduced to offers over £40,000; let’s say is goes for £45,000. I would expect that you would get rent of £425/month which gets you to a gross rental yield of 11.3%. The Liddle Drive flat’s price has also recently been dropped this time to offers over £50,000; you may get this property for a cheeky £52,500 or more likely a less cheeky £55,000. I estimate that refurbishment costs may be £5,000 which would take the property cost in the range of £57,500 to £60,000. I would expect that you could get a rent level of £425/month based on the flat being refurbished which would give you a yield of 8.5% - 8.7%. I am genuinely concerned about the Bo’ness property market, but in a way that might surprise you. Zoopla announced that average ‘asking prices’ rose in the last six months by 0.8% in Bo’ness, leaving them 2.6% higher than a year ago. Looking at all the data on the Bo’ness property market, and putting aside the need for more houses to be built in the next decade to balance out the increase in population but not matched by a similar increase in housing being built, my research shows there is a widening gap between what property buyers want and what is available to buy. In a nutshell, many more buyers are looking for the smaller one and two bed properties (the typical semi detached and smaller terraced houses/apartments), whilst there is an over supply of the four and five bed properties, which are the typical large detached properties available. Demand for smaller properties comes from both first time buyers and the growing number of buy to let landlords, where it is more cost effective and efficient to buy smaller properties to let out compared to larger properties which tend to offer poorer returns. Also, landlords with larger loans (on those larger more expensive properties) will also be hit harder with the changes in the way tax is paid on buy to let investments that started being implemented from April 2017. I recently carried out some research on how various types of properties have performed in Bo’ness since the year 1999 and what struck me was just how different the various types of properties have performed over the last 20 years and what this means for our property market and for people trying to trade up from their starter home to their next home. In a nutshell, this mismatch of supply and demand isn’t a new phenomenon, it’s been happening under our noses for years! In the last 20 years, the average terraced house in Bo’ness has increased in value from £32,954 to £113,977, the average semi-detached house’s value has gone from £39,518 to £144,973 and the average detached house has risen in value from £86,447 to £259,403. Nothing seems amiss until you look at the percentage growth. Average detached house price have from by 200.1%. However, these have been outgrown significantly by semi-detached houses whose value has increased by 266.8% and terraced houses whose value has grown 245.9%. This means that the gap between semi-detached/terraced houses and detached houses in percentage terms has narrowed enormously (this isn’t just a Bo’ness trend, it has happened all across the Country). I am concerned because more semi-detached/terraces houses need to be built, not only in Bo’ness, but in Forth Valley and Scotland as a whole. In particular, there is specific need for more affordable starter homes for the growing demand from both tenants (and the landlords that will buy them) and first time buyers. The government needs to face up to the fact that unless they can get the planners (to release more building land), the banks (to finance the building of house), the builders (to build houses) and themselves together to ensure long term plans can be made and implemented, this issue will continue to worsen. It is estimated that the country needs 30,000 houses a year to be built to start to tackle the chronic housing shortage that we have. Last year, only 17,739 properties were built, the year before 16,270 and 14,890 in the year before that. This means only one thing for Bo’ness’s landlords. 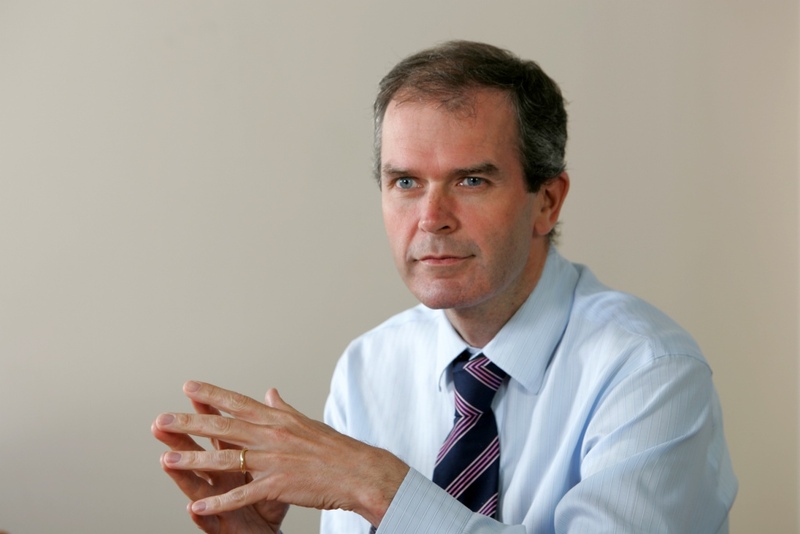 Unless the Scottish Government start to rip up huge swathes of the Scottish countryside and build on acres and acres of green belt, demand will always exceed supply when it comes to property for the foreseeable future regardless of any short term fluctuations caused by the uncertainty of Brexit. Therefore investment in the local Bo’ness property market as a buy to let investment could be the best move to make as stock market investments are possibly on the wane. Everyone is different and, trust me, there are many pitfalls in buy to let. You must take lots of advice and seek out the best opinion. If you would like to explore how I can help you with your property investments, or should you require any advice about investing in the Bo’ness property market, wish to enquire about our Investment Analysis Reports, Property Sourcing, Residential Lettings or Property Management services, please do not hesitate to contact me on 01506 828096 or at robert@thekeyplace.co.uk. Alternatively please feel free to pop in and see me at our offices at 6 Vicar Street, Falkirk for a chat, the coffee is always on.